Never seem to have enough room for all your gear when you are traveling? 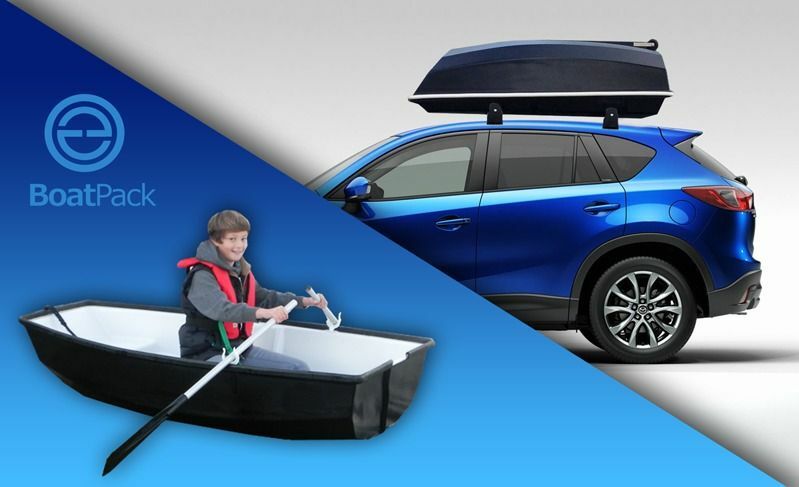 On you next trip, take the BoatPack, a super large roof top carrier that doubles as a boat! This patent pending carrier made in the UK out of a lightweight material, attaches to most roof rack brands. The top section is the boat and weighs 20kg, making it manageable for one person to carry. A wooden seat, folding oars and rowlocks are included, and an electric outboard motor can also be attached to the boat which will support a maximum weight of 165kg.